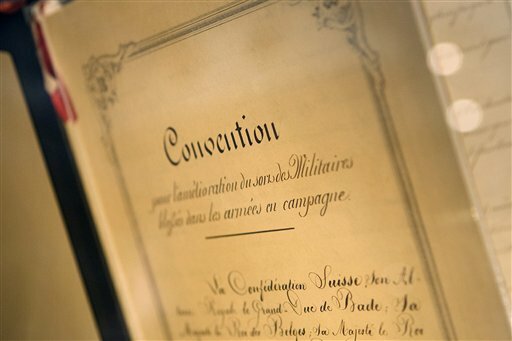 There are currently 194 countries who are High Contracting Parties to the Fourth Geneva Convention. Of the High Contracting Parties, 193 comprise all of the member States of the United Nations, and 1 is a non-member State of the United Nations, Cook Islands. On November 28, 2012, the acting government of the Hawaiian Kingdom signed the instrument of accession acceding to the Fourth Geneva Convention for the protection of the civilian population during Hawai‘i’s occupation, and on January 14, 2013, the instrument was deposited with the Swiss Federal Council in Berne, Switzerland. Pursuant to Article 157, the Convention took immediate effect from the date of the deposit because Hawai‘i is currently under occupation. By acceding to the Fourth Geneva Convention, the Hawaiian Kingdom, as a State, became a High Contracting Party and its territory now comes under the Fourth Geneva Convention and Hawaiian nationals are presently considered “protected persons.” The International Criminal Court prosecutes perpetrators who commit war crimes that violate the rights of “protected persons” as defined by the Fourth Geneva Convention. UPDATE: This posting was withheld for the past two weeks until confirmation of the receipt of the instrument of accession could be obtained. It is confirmed that the deposit of the instrument of accession took place on January 14, 2013. This entry was posted in International Relations, War Crimes by Hawaiian Kingdom. Bookmark the permalink. did you get a receipt for that? The posting was withheld until receiving confirmation of the deposit of the instrument of accession with the Swiss Government at Berne, Switzerland. This Instrument of Accession gives us protective refuge. It stops the perpetration of the Stockholm Syndrome in our homeland and provides for the start of our Nation’s Restoration. Is there a scanned image that can be shown? I would like to report this on our radio show. New post has signed receipt and acknowledgment. https://hawaiiankingdom.org/blog/?p=311. Is it retroactive to the date of occupation? Mahalo nui loa for all the work you do. I have some questions regarding the actions that will follow the International Criminal Courts investigation and how that process will work. I have looked up more information on the website concerning how their jurisdiction will be implemented in territories suffering from human atrocities, crimes of aggression, and war crimes. I am curious to know who will be the individuals that you will be pursuing in regards to these war crimes; specifically the occupation? And what “State” will be responsible for enforcing possible arrest warrants and charges being brought against said parties? I am so excited and optimistic of the possibilities that I have been dreaming up since reading of these new happenings and any and ALL information that you have would be great to better understand the next steps for us as la hui. Again mahalo for all of your diligence and struggles. I look forward to seeing and participating the de-occupation of our pae ‘aina. We just have to believe and remain maka’ala kakou!!! I heard through the wireless that, on Kauai radio, it was mentioned that The Hague was sending a committee to investigate war crimes in Hawaii. Is this true? Aloha check out all the older posts on the HK Blogs. I saw that Jurisdiction of ICC over Hawaiian Territory begins March 4, 2013 but, will they be physically present…or need they be?